When trying to obtain the money it takes to build new factories, pay for operating costs of a business and other investments, some companies might struggle to come up with the funding. However, the New Markets Tax Credit Coalition, created by Congress in 2000, might be able to provide the boost businesses need to establish themselves, according to Industry Week. The New Markets Tax Credit Coalition aims to improve investment for locations that may not be able to receive funding through traditional capital markets. Overseen by the U.S. Treasury, the program is now looking to invest more in manufacturing projects to help expand economic growth in low-income, rural and urban communities. In a recent report, 15 percent of program investments funded manufacturing or industrial businesses, which received the most support after community and healthcare projects. With funding from the program, industrial projects were able to generate 2,684 full-time jobs and 3,809 construction jobs in 2012. Through stimulating economic activity within the manufacturing or industrial sector, this growth could spill over to surrounding communities. These manufacturers are not only growing their businesses, they are also contributing to empowering and revitalizing local communities. For that reason, the U.S. Treasury, which administers the program, is seeking more manufacturing projects for investment. Credits are typically given in amounts ranging between $10 million and $30 million. Projects are able to qualify if they are not able to acquire funding through traditional financing and businesses must be stationed in a low income community, either generating at least 50 percent of its business within that location or hire low-income individuals to make up 50 percent of its payroll. One of the most important assets businesses must be able to finance is equipment. 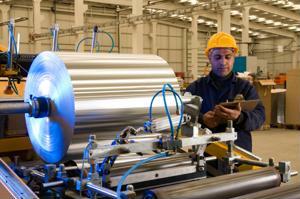 Aerospace Manufacturing and Design offers tips for how to save money on equipment purchases. When considering options to reduce manufacturing costs on a limited budget, businesses have a choice of purchasing equipment or leasing it. The advantage of leasing equipment instead of owning it is not having to be concerned about depreciation of these physical assets over time. Another thing to consider when deciding whether to lease is evaluating whether the firm qualifies for tax credits that allow companies to deduct up to $500,000 of equipment costs if the total amount of equipment purchases total $2 million. Whether companies choose to own or lease their equipment, their decisions have financial implications down the road and making the right decisions could help them stay on track for long-term growth.